Alice is writing England’s Republic: The Lost Decade, 1649-1660 for Faber & Faber. She is a lecturer at Southampton University and the author of The Drama of Coronation (Cambridge University Press, 2008). 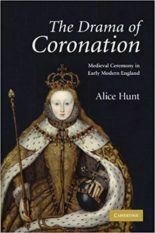 She is also the co-editor, with Anna Whitelock, of a book about Mary I and Elizabeth I, co-author of the Rough Guide to Royals, and has contributed to several television programmes, including BBC2’s ‘Fit to Rule’. Before becoming a full-time academic in 2006, Alice was a senior editor at Atlantic Books. She lives in Winchester with her husband, the writer James McConnachie, and their children.